Linked data has emerged as an interesting technology for publishing structured data on the Web but also as a powerful mechanism for integrating disparate data sources. 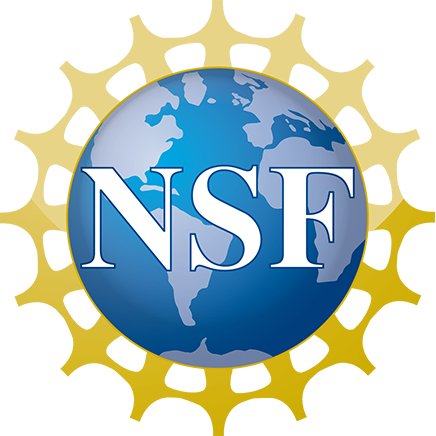 Various tools and approaches have been developed in the semantic Web community to produce and consume linked data, however little attention has been paid to monetization of linked data. 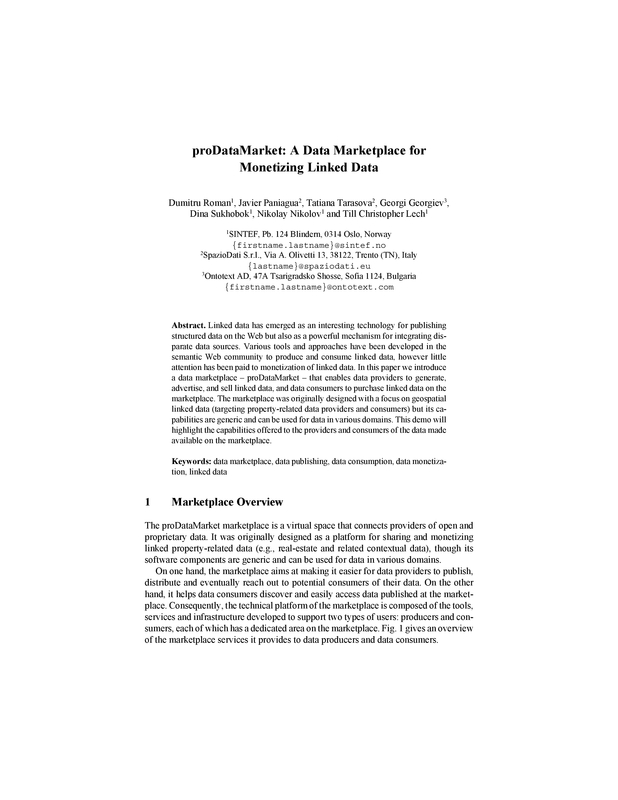 In this paper we introduce a data marketplace – proDataMarket – that enables data providers to generate, advertise, and sell linked data, and data consumers to purchase linked data on the marketplace. The marketplace was originally designed with a focus on geospatial linked data (tar-geting property-related data providers and consumers) but its capabilities are ge-neric and can be used for data in various domains. This demo will highlight the capabilities offered to the providers and consumers of the data made available on the marketplace.